Novel Creative Development, LLC, developer of The Ivy Lofts, is pleased to announce the collaboration between AT&T Digital Life and Daikin, the world’s leading air conditioning company, to create the United States’ first fully automated building built from the ground up. This latest relationship brings even more ultra modern conveniences to the first micro-condominium development in Texas, which also is the largest of its kind in the nation. The Ivy Lofts has also partnered with Zipcar and will designate approximately eight parking spots for the drive-as-you-need-them vehicles. The developer has also reached an agreement with IKEA to provide comfortable, multifunctional furniture specifically designed for the micro-condominium lifestyle. Rising 24 stories, The Ivy Lofts’ 500-plus micro-condominium units feature streamlined, savvy living spaces for a simplified urban lifestyle with a sleek, sophisticated aesthetic. Modern interiors include transformable furniture, sliding walls, all-in-one washers and dryers, and LED lighting. Hardwood floors, granite countertops and stainless steel appliances complete the contemporary effect. Units range in size from approximately 350 square feet to over 1,000 square feet, with prices starting in the low $100s. RE/MAX Inner Loop manages sales and marketing for The Ivy Lofts. 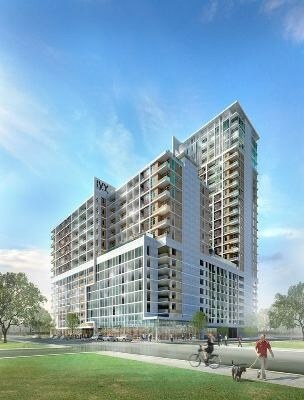 For more information, call Jason Franklin, 713-489-5638 FREE, or visit www.theivylofts.com. The Ivy Lofts is the first micro condominium in Texas, located in Houston’s dynamic EaDo neighborhood, just minutes from the Medical Center, the University of Houston and downtown. The Ivy Lofts’ game-changing, scaled-down living concept lifts the veil on a smart, sophisticated new way to live affordably in the heart of the city by making every square foot count. Convertible floor plans, high quality finishes, innovative amenities and unbeatable proximity to the best of Houston allow Ivy residents to invest in a lifestyle of convenience, flexibility and simplicity. Novel Creative Development, LLC, is a diversified real estate investment group with ownership interests in office, retail, and other property types. Based in New York City, it is focused primarily on acquiring, managing, and maximizing the value of commercial properties. Experienced real estate professionals with a unique mix of high-level private- and public sector experience who have consistently demonstrated success founded the firm. As a full-service developer, Novel has the ability to rapidly move any project through every stage—site selection, acquisition, financing, construction, leasing, property management, and maintenance.